Although Jil Sander's first perfume, Woman Pure, is a cusp perfume, it is very much a 1970s scent. It joins the austere green chypre elegance of Givenchy III (1970) (with its soupçon of fruit) with the arid, "I'm not F$%cking around" dryness and bitterness of Scherrer No. 1 (1979). You're an introvert, welcome to the club. 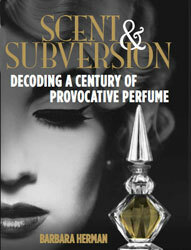 You think it might be Ilias Ermindis and Nathalie Lorson tag teaming on this perfume? Maybe too early for those two to get involved.